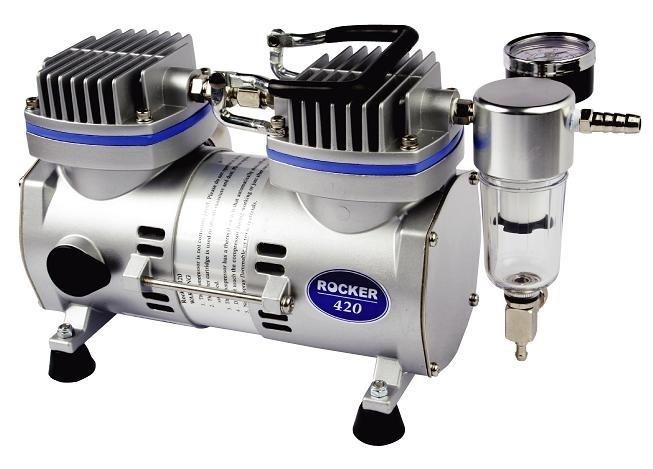 The Rocker 320, Rocker 420 and Rocker 440 oil free air compressors use piston pumps that require no lubricant, regular oil changes or other routine maintenance. The oil free design means that no oil mist pollution is added to the air. 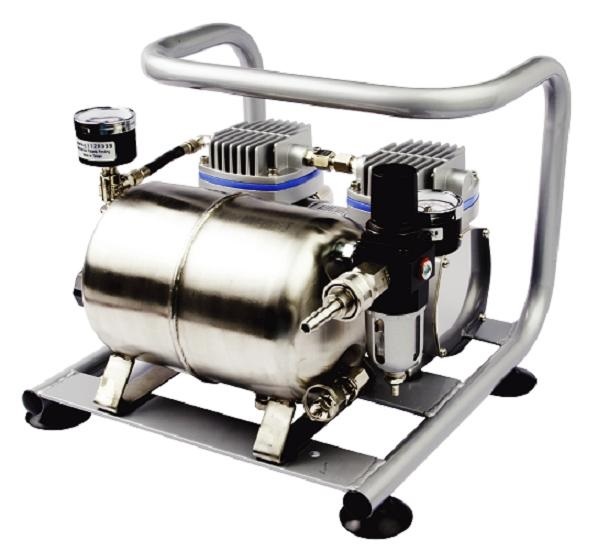 An output filter traps moisture and filters particles. A direct drive motor eliminates the noise and complications of a belt drive and together with careful vibration lowering assembly results in a low 50.0 or 52.0 dB noise level. 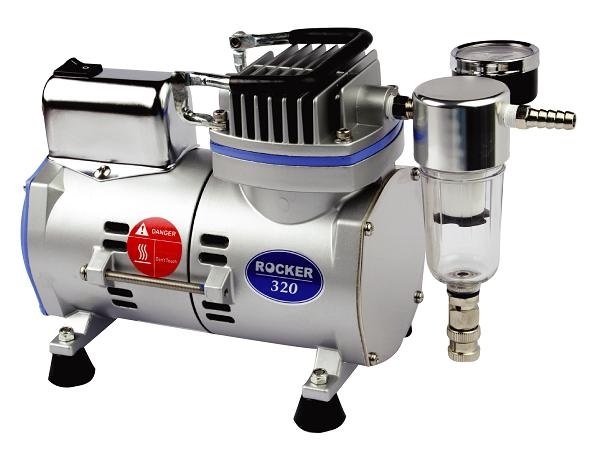 The Rocker Model 440 Air Supply System has a built in stainless steel 2.5 liter air tank and uses quick coupling fittings. 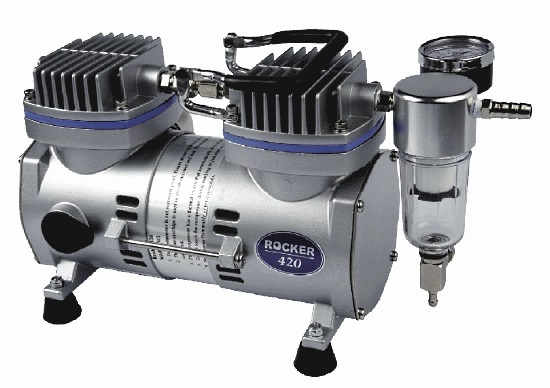 Whatever the laboratory application, be it aeration, pressure filtration, supplying a bioreactor or a gas chromatograph, the Rocker oil free compressors are ready to give dependable long term service.